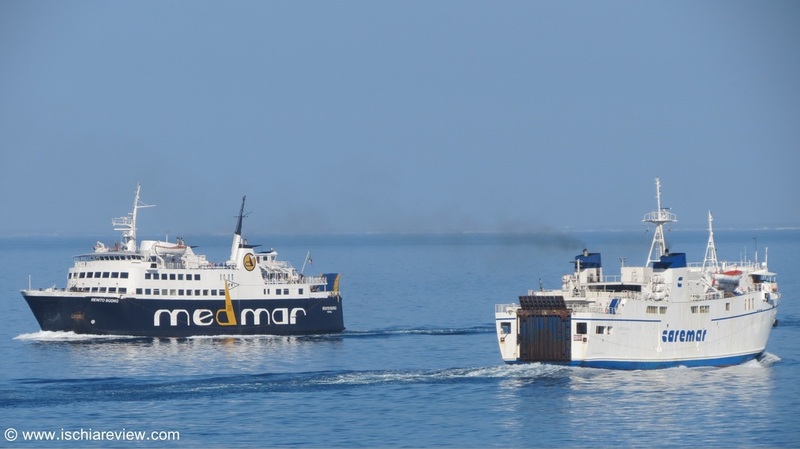 Two ways to get to Ischia! Guide on getting to Ischia from anywhere in the world with advice about flights, airport transfers and sea-crossings from mainland Italy. Ischia is situated in the Gulf of Naples in Southern Italy, around 30 kilometres (18 miles) from the nearest city, Naples. The island is served by ferries and hydrofoils that connect it to ports in Naples and Pozzuoli which is just a little further north. Naples is a major city and transport hub for the south of Italy and is well-served by a modern airport, various shipping ports and a healthy transport infrastructure including trains, buses, trams and taxis. 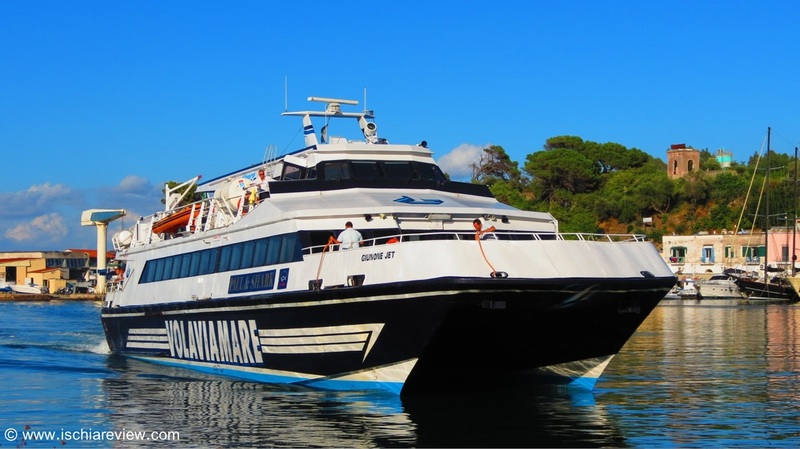 From Naples you have a choice of either ferry or hydrofoil for the crossing to Ischia, the ferry takes around an hour and a half while the hydrofoil is slightly faster and takes about an hour depending on which port in Ischia you plan to arrive at. Our ferry & hydrofoil timetables & guide allows you to plan your trip to Ischia with detailed sailing times that are regularly updated. We provide you with information about the prices of the crossings and the various options for cars and foot passengers. We also explain who the different carriers are, where they travel to and from and which services they provide. You can also see direct links to the carrier sites where you can book your tickets. Our flights to Naples guide explains how you can reach Ischia by air. We give you information about all of the airlines that fly to Naples from cities around the world. 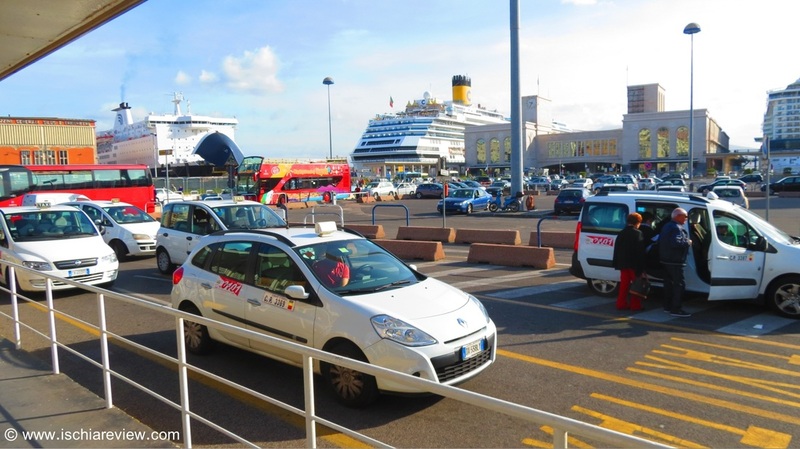 Getting from Naples to Ischia is very easy and here we explain the various options available to ensure your smooth transfer from the mainland, be it from the airport or Naples' main train station. 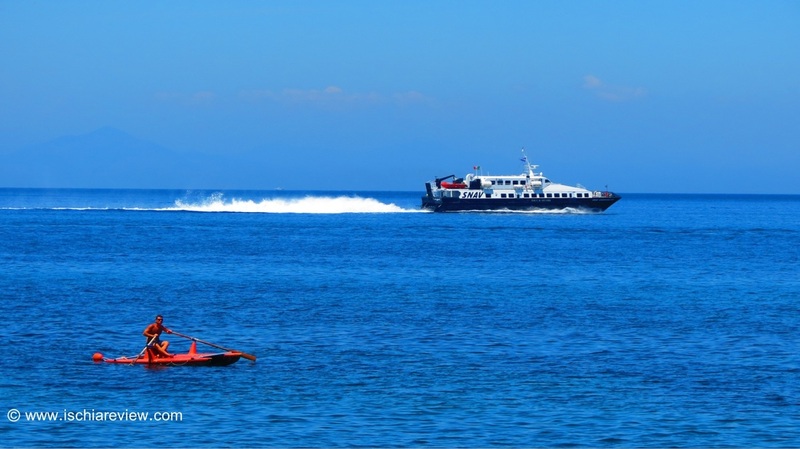 During the summer there's a daily hydrofoil service from Sorrento to Ischia and back again. In the summer months between May/June and September you can easily take a day trip to Ischia from Sorrento by taking the daily hydrofoil service. See our guide for more information and options. For those people looking for a completely hassle-free transfer from Naples to Ischia we offer a highly professional and reliable private taxi transfer service from the airport or train station. 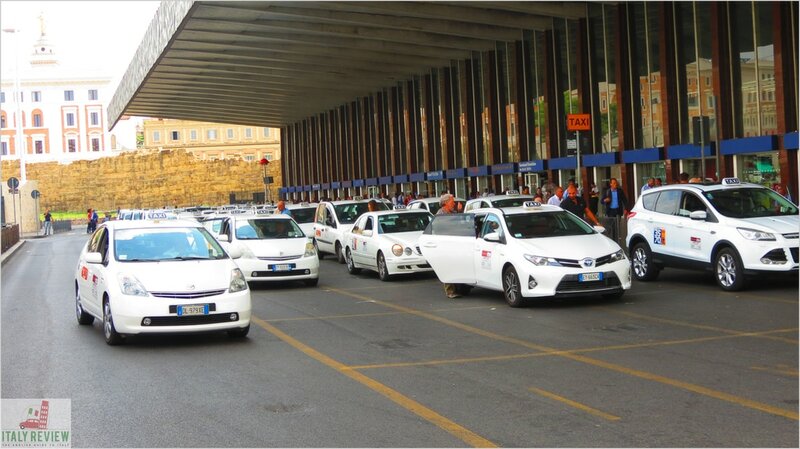 To get from Rome to Ischia you have several options to arrive in the island. Here you can find multiple possibilities that, depending on your needs, will help you find the best way to arrive to Ischia.